Nose: Sweet spice aromas, vanilla bean, and citrus fruit. Palate: Light and complex - notes of coconut, cocoa and espresso come to the fore. The finish is a toasted crème brûlée flavor that compliments the aromas perfectly. A quality and versatile Cognac, that is a thoughtful addition to any drinks cabinet. The Lheraud Cuvee 10 Renaissance Cognac is slightly over proof at 42% alcohol, and is an extremely well-balanced Cognac thanks to its origins in the Petite Champagne cru. 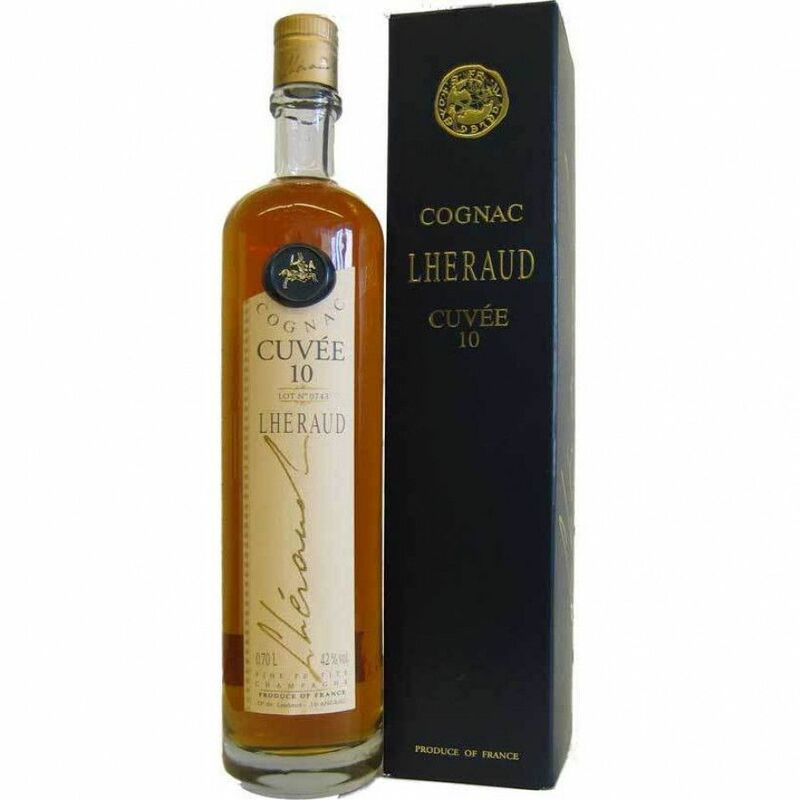 The age designated Cognacs from Lheraud are in fact “vintages” in disguise. It is a blend of eaux-de-vie from one year, and has been aged in Limousin and Tronçais oak barrels. Each of the ‘cuvee’ blends prioritize character in its Cognac, and each has spent the first few years in newer oak casks, to then be transferred to older ones to conclude the maturation process. Lheraud Cognac certainly understand exactly what is needed to create the complete Cognac package with the creation of the Cuvee 10 Cognac, which has been aged for 10 years. The result? They bring exactly what the customer needs from a particular quality of Cognac. From the contents within the bottle, to the presentation sleeve in which it arrives; this Lheraud Cuvee 10 offers great value for money, and will please even the most demanding of palates with its citrus and sweet spice aromas. Cognac Lheraud is located in the Fine Champagne crus of Cognac, and is famous for its influence from both oceanic and continental climate. When they were first founded, the vines were planted to three varieties of grape: Ugni Blanc, Folle Blanche and Colombard. Due to the spread of various diseases including phylloxera, the latter two were replaced by Ugni Blanc as time went on. This Cognac house is one of the only ones in the region to have grown all three varieties and to use them in their blends. As a versatile Cognac, the Cuvee 10 Renaissance Cognac by Lheraud goes really well with food pairing and cocktails, neat, and over ice - so you have the option to play around with it. It arrives in a truly stunning tall bottle with a slim neck, and a cork lid. The presentation sleeve is leather and gold-embossed, and will look great on show.